The following is a review from POZ of our current exhibition. Self-Determination Inside/Out is a new exhibition of cultural materials made by prisoners and their supporters as they struggled for justice within the prison system. The exhibit, which is at Interference Archive in Brooklyn, spans decades of history and sheds new light on both incarceration and the incarcerated. 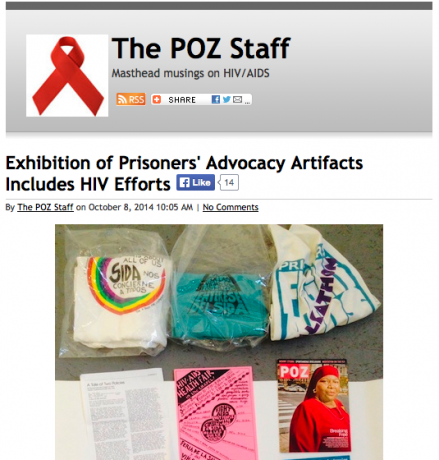 One of the curators is former POZ senior editor Laura Whitehorn, who became an advocate for prisoners while serving a 14-year sentence.